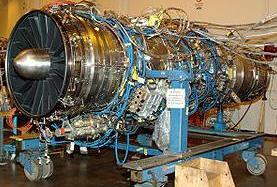 December 12, 2010 - The GE Rolls-Royce Fighter Engine Team has surpassed a major test goal for 2010, launching tests on the sixth new F136 engine this year. The F136 test team also beat a major milestone with time to spare running a full propulsion system for the first time with the common hardware for STOVL operation (Short Take Off/Vertical Landing). Testing began in late November on Engine #009, an endurance engine, and Engine #006, which was re-configured into STOVL mode following earlier tests. The F136 team has compiled more than 850 test hours in 2010, with a goal of reaching 1000 by year?s end. Four F136 engines, at three locations, are testing concurrently for the first time. The GE / Rolls-Royce decision in 2005 to resize the F136 engine with a larger core and higher-flow fan is proving fortuitous as test engines are being run to extreme flight conditions. The resized core and fan provide a low-risk solution for the F136 System Development and Demonstration program, and the engine will enter production with cooler running temperatures. That will translate into a long-term maintenance cost advantage as high as 25 percent over the competing JSF engine. The engine testing has verified the temperature advantage as predicted. Full flight envelope testing necessary to validate the F136 performance model; to demonstrate meeting specification thrust requirements; and to integrate the engine control software with the Joint Strike Fighter F-35 aircraft is being conducted on an F136 development engine (#005) at the U.S. Air Force Arnold Engineering Development Center (AEDC) in Tullahoma, Tennessee. Engine #005 has accumulated more than 330 hours of testing and is expected to continue running at AEDC for several more weeks. ?We are eager to complete measurements of F136 installed thrust and operating temperatures throughout the flight envelope. The engine has already demonstrated the capability of 15+ percent thrust margin against specification at sea level, static condition,? said Al DiLibero, President of the GE Rolls-Royce Fighter Engine Team. ?The AEDC testing has confirmed for us that the F136 is performing at, or better than, all of our test expectations.? Since the JSF specification includes the propulsion system losses associated with installing the engine into the aircraft, the F136 engine was tested as if it was installed in the aircraft for a true comparison of capability available to the warfighter. On an uninstalled basis, the thrust margin at the sea level, static condition is significantly greater (typically about 20 percent above the ?installed thrust? measurement). ?These positive test results give the Fighter Engine Team great confidence moving toward first flight next year,? said Mark Rhodes, Senior Vice President of the GE Rolls-Royce Fighter Engine Team. ?The significant temperature margins will mean big savings for the customer in future.? F136 test engine #007 continues to run at GE Aviation?s Evendale, Ohio, test facility where valuable data on the higher airflow fan is being mapped with simulated inlet distortion. Engine #007 has more than 265 hours of test time. Production is underway on Flight Test Engine #041, the first F136 to flight test on the F-35 Lightning II aircraft. Final assembly occurs early next year, with acceptance testing slated in mid-2011. Engine #041 is scheduled to flight test on AF-1 test aircraft late next year. Outstanding F136 performance demonstrates the vital role that the engine will play competing in the Joint Strike Fighter program over several decades. GE / RollsRoyce recently completed the fifth year of the team?s System Development and Demonstration (SDD) contract with the US Government Joint Program Office.